The online version of this article ( https://doi.org/10.1186/s40794-019-0081-0) contains supplementary material, which is available to authorized users. The responsibility for the undertaking and outcome of a safe and beneficial international medical elective is principally shared between a medical school and individual students. However, it is ultimately the sending institution that bears the responsibility for safety, health and effective learning – as in any clinical placement. Medical schools (being ‘sending’ or ‘sponsor’ institutions) and their delegated elective program coordinators are typically responsible for programmatic issues such as indemnity, travel advisories, faculty and student travel registries, general policies curriculum requirements, pre-departure training programs and ‘distant support’ while in country. Embedding the structure and up-to-date details of an established medical electives program in the institutional website should be considered, highlighting mission statements, goals and partnerships, as well as promoting the program locally and internationally [14, 15, 16]. Student responsibilities for electives are far more varied and apply to the details of applications, health and safety, clinical activities, ethical behaviour, and so on. 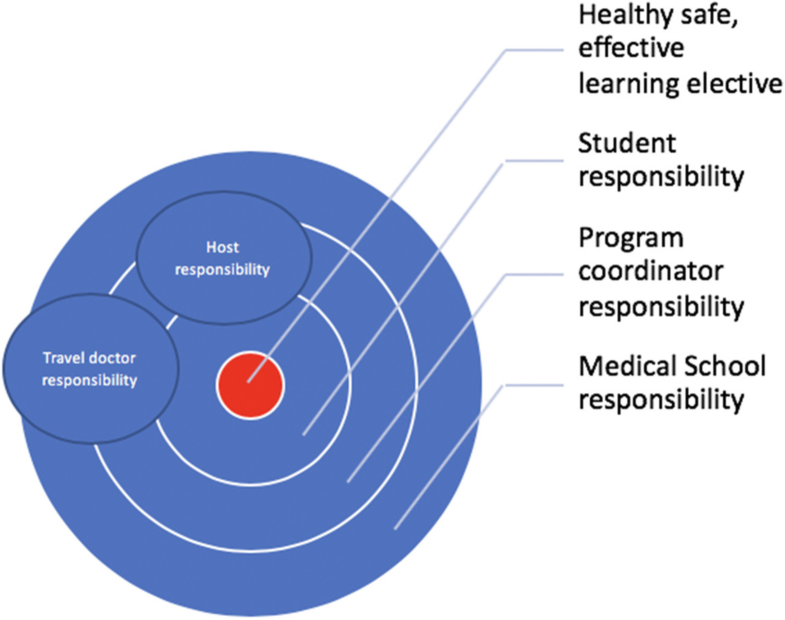 Although program coordinators cannot oversee or be held accountable for every aspect of the many parts that ultimately lead to a successful elective, they do have an obligation to ensure that students planning international medical electives are made aware of their responsibilities (Table 3) [17, 18, 19]. For example, some form of audit of compliance with key tasks may be required. Medical schools typically focus on the broader hazards of destination countries when analysing risk on electives. Most universities already have established rules about travel to high-risk destinations that apply to all staff and students and compliance with these rules and corresponding institutional risk management systems is generally desirable . For travelling students, the threat of civil unrest, crime and personal safety in a chosen country is somewhat unpredictable but may be reduced by choosing lower-risk elective locations and by taking a few common-sense precautions from the time of arrival at the chosen destination. Trauma from motor vehicle crashes, recreational activities and personal violence is probably the greatest risk faced by students and perhaps the most difficult to mitigate . 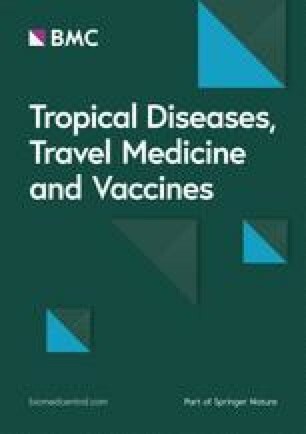 Many countries provide travel advisories and registries for their citizens and one approach for medical schools is to restrict electives to the safer categories of travel warnings [29, 30, 31]. Students and their program coordinators should also be prepared for late, sudden changes in security conditions, and the emergence of epidemic and climatic threats in their intended destinations . Notwithstanding any reasonable restrictions that medical schools may place on choices of electives and additional travel, program coordinators should keep in mind that a balance does need to be achieved between restrictive policies and students’ rights to make informed choices – many students are already seasoned travellers by the time they start planning their electives. Medical schools are increasingly providing comprehensive pre-departure training programs and post-return debriefing sessions for students undertaking medical electives [3, 42, 43, 44, 45, 46, 47]. Pre-departure training programs should ideally cover three key areas: a) educational objectives, including expected clinical experiences; b) health and safety, and; c) moral and ethical issues [41, 48, 49, 50]. Such programs are likely to be most effective if facilitated by staff with international health experience, and preferably those who are also familiar with emerging concerns about ‘international clinical volunteering’. [9, 47] Programs can also be integrated into mainstream curricula and even be expanded to cover issues such as migrant and refugee health [51, 52]. Collaboration between students undertaking traditional individually organized electives has led to the development of student-directed international health organizations, although the educational and ethical attributes of such organizations may vary somewhat [3, 53, 54]. Students who undertake their electives through volunteer placement organizations typically receive pre-departure information rather than what might be considered worthwhile and multifaceted pre-departure training . The most robust training programs seem to be those that are embedded into long-term, wide-ranging and balanced partnerships with faculty and university level backing . Much of the impetus for providing pre-departure training arises from the desire to improve gaps in student preparedness for international medical electives, including a relative lack of skills training, a need for understanding of novel and challenging cultural and ethical issues, and a lack familiarity with exotic clinical conditions and approaches to healthcare disparity in low-resource areas . Students are also confronted by unfamiliar degrees of suffering and resource disparities while needing substantial clinical supervision, all serving to potentially burden hosts and leave students with lasting feelings of hopelessness and negativity towards the ideals of global health practice [8, 14, 56, 57, 58]. Electives in smaller, rural hospitals can be both more closely supervised and ‘hands on’ than those in larger urban teaching hospitals, which may facilitate a smoother transition to the unfamiliar clinical environment . Although some critics believe that pre-departure programs may fall short of being truly socially accountable to the needs and expectations of host communities [60, 61, 62], these challenges can be mitigated to some extent by thoughtful scenario-based learning and can be supplemented by opportunities to debrief in groups upon return home. Better still is to abide by an expectation that host institutions will be directly involved in the design (and, ideally, implementation) of such programs [47, 53, 63]. Training programs can be complemented by the use of excellent on-line learning courses in global health ethics, some of which can be undertaken free of charge . Students can be better prepared for their clinical experiences by being directed towards a number of online documents that not only offer insights into the variety of conditions that may be encountered but also highlight the more symptom-based and syndromic approaches to management that are typically employed in lower-income countries . Returned elective students can be enlisted to contribute to pre-departure programs by posing real-life scenarios based on their own experiences. Scenarios can be based on clinical, ethical or health and safety issues. Ultimately, students and their program coordinators should remember that they are first and foremost going on electives to learn under supervision, rather than to be skilled service-providing volunteers. And it may also be timely at this point to remind students of the humanitarian goals of medical practice enshrined (and recently updated) in the World Medical Association’s Declaration of Geneva – relevant wherever the setting and whatever the circumstances . Safety in a turbulent world with unfamiliar environments requires the student to prepare for known and unknown risks. This includes consideration of travelling companions [27, 39], accommodation , ‘street-wise’ behaviour, local and distant travel opportunities, and an understanding of political, social and geographical contexts [6, 23, 28, 29, 30, 33, 34, 74]. Preparation can range from simple pre-departure briefings to courses on major humanitarian crises.